With a fun, ice-foggy 30-10 victory over Texas, Baylor took advantage of Oklahoma State’s early Saturday loss and a home crowd to claim the Big 12’s automatic BCS bowl bid. They’ll likely be headed to the Fiesta Bowl as the host of the traditional Big 12 bowl. The Bears spent all season impressing the country, going well beyond what preseason expectations had expected in Waco. Led by quarterback Bryce Petty and an offense that wouldn’t stop, the Bears challenged for a national title bid up until just weeks before the end of the year when a loss to Oklahoma State dealt the Bears their only loss. When Oklahoma beat Oklahoma State in Saturday’s Bedlam, it opened up the Texas-Baylor game as a de facto Big 12 title game, and the Bears were victorious. The Bears will now wait until Sunday night to find out who they will play in the Fiesta Bowl, which would likely be AAC champion UCF. Upsets — love ’em or hate ’em, they’re as much a part of college football as is Saturday morning fogginess during “College GameDay.” For the first time in 2013, really, during week seven, we got a handful of truly important ones. And though their outcomes might not have set things in stone, they certainly shuffled things up a bit when it comes to the BCS. So what’s next for the likes of Georgia and Stanford? What becomes of two teams who were looking fondly toward a BCS berth during the final season of this era? We can only guess, but the outlook for now shifts somewhat dramatically for these teams. Comment: There’s no denying it, Alabama, for all its faults this season, still seems to be the best equipped and ready for a title game run in 2013. Who else can challenge the Tide? Could it be that now, with Stanford out of the way, the best chance at knocking off the reign of the SEC lies in Eugene? Perhaps, and Oregon went about proving their Pac-12 dominance in a victory over Washington. Comment: The loss to Utah hurts Stanford, it hurts the Cardinal bad. But there is plenty of hope left in Palo Alto for a BCS bowl berth. Even if Stanford is unable to resurrect its title game ambitions with a victory over Oregon later this year, it could be headed to the Rose Bowl if it can solidify itself as a 10-win club in the Pac-12. There will be plenty to deal with, mostly likely UCLA’s resurgence and the possibility of Washington’s continued success, but for now, the Cardinal seem like a strong possibility here. Comment: One loss does not a season make. Two losses? Perhaps. The second loss of the season for Georgia could end up being killer, as the Bulldogs might miss an opportunity at a BCS bowl in the era’s last year. LSU’s important win over Florida strengthens the guys from Baton Rouge’s case for a BCS at-large bid to replace the SEC bid in the Sugar Bowl. As for Florida State, the looming battle with Clemson will be telling, but even a loss there would not be world-ending. Comment: Clemson has made its name this season as a team led by offensive strikers from around the field. It was no different on Saturday against Boston College, though those strikes were somewhat less often. For Oklahoma, however, the offensive strikes barely came against Texas. Does that mean that the Sooners are down for the count on BCS terms? Not quite yet, but Oklahoma will have to show a bit of resolve to get to another BCS bid, as the trips to Baylor and Oklahoma State laid out in front of the Sooners don’t seem to spell positive things quite yet. Comment: Louisville continues its romp though its AAC schedule but must continue to ponder the question whether an undefeated run thought their schedule would spell more than a bid to one of the four non-title game BCS bowls. For Baylor, however, Oklahoma’s loss to Texas sets them up nicely for a Big 12 title, with the opportunity to play all the remaining contenders in the Big 12 chase, including undefeated in conference play Texas and Texas Tech and a showdown with Oklahoma State. Wins could spell a big fiesta for the Bears. 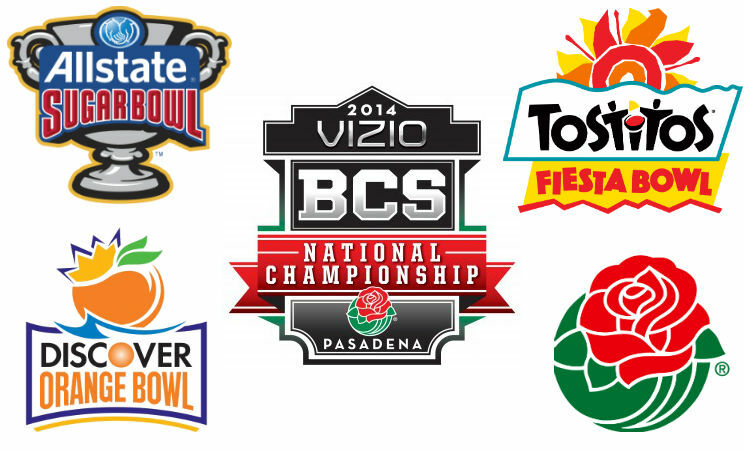 The BCS has always had trouble with too many teams finishing the season undefeated. It’s seasons like 2004 that have brought the BCS to its knees and foretold the end of this era. 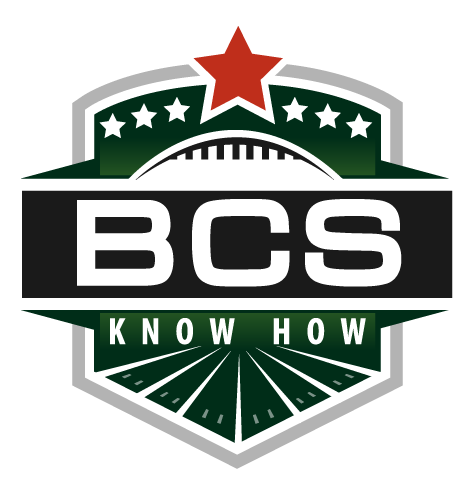 But how fitting would it be for the BCS, in its final year, to bow out with one last blowout controversy with a handful of undefeated teams and no true way to differentiate them? With Stanford’s big win over Washington and Ohio State’s big win over Northwestern, we might just be headed for a season’s end with bevy of deserving teams with spotless records. Though it seems pretty assured an undefeated SEC team would make the title game, who would get the nod to play that SEC squad in the title game? Comment: An impressive and tight victory over a very good Washington team was among the best wins of the weekend among title contenders, and with Oregon in Palo Alto facing the Cardinal squarely down the road, things could be coming up Cardinal in the last BCS title game. Alabama, for their part, has had little trouble starting their season with another undefeated run through early opponents. Comment: Ohio State’s strong victory over Northwestern was as important as Stanford’s Washington victory, but with only a game against Michigan during the final Big Ten regular season week left as far as tough games, is there enough to push Ohio State past a potential Pac-12 undefeated team? As for Oregon, if they come up short of a Pac-12 title and an undefeated run through their season, they’d land softly in the Rose Bowl. Comment: Georgia continues to keep their national title and BCS hopes alive with impressive victories in nationally televised games with Aaron Murray at the helm. Sure, the Bulldogs’ loss to Clemson was crushing to open the season, but it seems all the more likely that Georgia belongs in the upper echelon of teams in the country. With that in mind, the Sugar Bowl would likely want to take the Bulldogs as a replacement and pair them with the ACC’s second-best team, Florida State. Comment: After two weeks of struggling against lesser foes, Michigan showed their strength against Minnesota for a much-needed easy victory in Big Ten play. Though it hasn’t been impressive, Michigan has won five games to open the season, and even if they are unable to top Ohio State at the end of this year, a one-loss Big Ten team will be hard to pass up for an at-large BCS bid. As for the Tigers, will a victory over Georgia and a potential victory over Florida State be enough to push them into the national title game or will they have to settle for an Orange Bowl bid as simply the ACC’s champion? Comment: Louisville might be at the very bottom of the totem pole when it comes to teams with the chance to capitalize on an undefeated season. Mostly, that’s a result of the schedule laid in front of them in the all-new AAC. But that’s not to say that things couldn’t fall in their favor, there’s just a lot that has to happen. As for Oklahoma, the Sooners will be tested against a Baylor team that seems unstoppable, but if they are able to triumph there, they’d be favored to make the Fiesta Bowl as the Big 12’s champion and host.